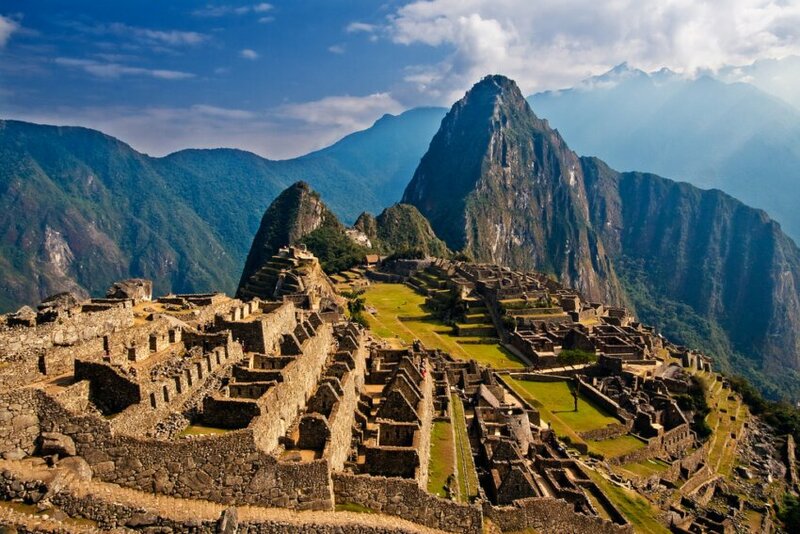 Machu Picchu is a UNESCO World Heritage Site, it stands high up in a mountain forest, 1000 feet above the Urubamba River, on the eastern slopes of the Andes Mountains in Peru, South America. The city ruins are located 80km from Cusco and 2,430 meters above sea level, the site covers 32,592 hectares. 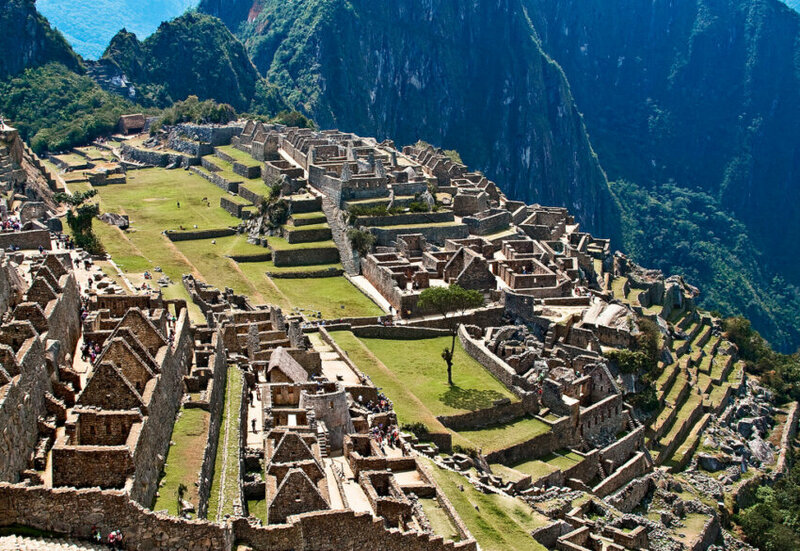 The site was an ancient Inca City constructed in 1430 and inhabited for approximately 100 years. 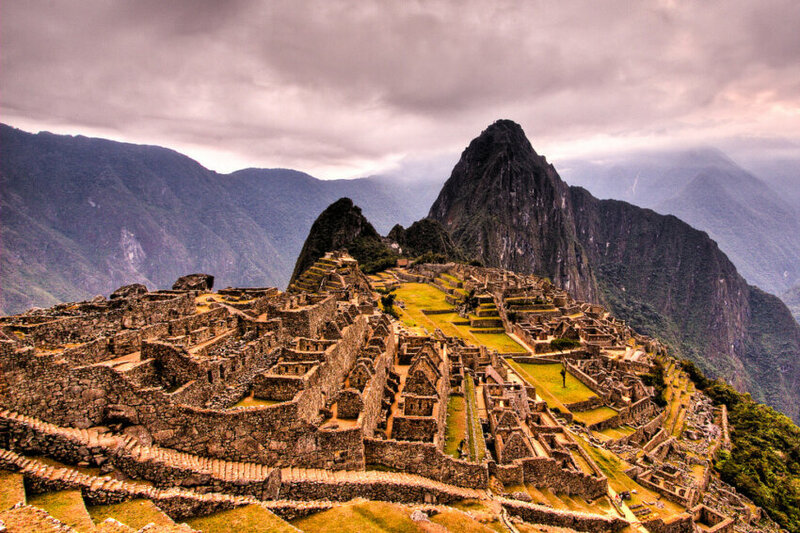 The Incas abandoned the mountain top city when the Spaniards conquered the Inca Empire. The ruins of this ancient city between the Andes and the Amazon Basin are surrounded by dramatic flora and fauna. The precise function of the city is unknown but it is believed to have been a summer retreat, Estate for the Inca Emperor Pachacuti. The religious structures, refined architecture, and astronomical and agricultural centers have fascinated scientists and historians for decades yet the Inca culture remains a mysterious one. 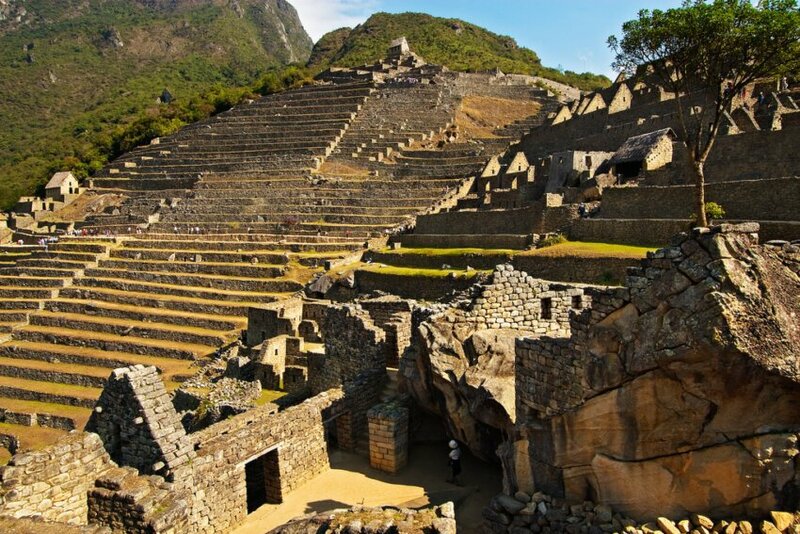 The site remained untouched until 1911 when the “Lost Inca City” was rediscovered by historian Hiram Bingham and since then it has been restored and become a major tourist site. The site consists of about 200 structures spread across ridges and stone terraces. The city was designed with an organized plan dividing it into an upper area for living quarters and a lower area for farming. A large square separated the two. There are complex irrigation systems, canals, roads, trails and structures. Many of the structures were built with polished dry stone walls. One of the most interesting areas of the city is the Sacred District. 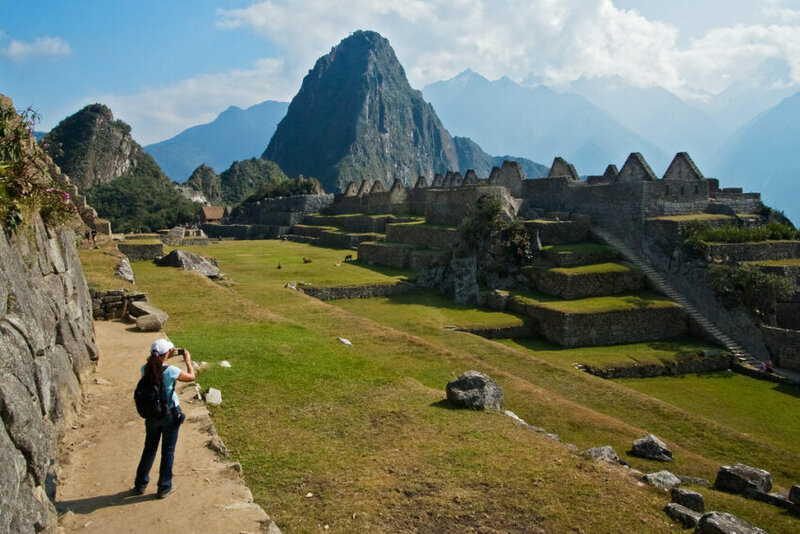 Visitors to Machu Picchu can walk around the ruins unguided exploring the different structures or hire a guide at the site entrance. The highlights include the Sun Gate which looks down over the valley and is best seen at sunrise. The Sun Gate is also the entrance point to the site from the Inca Trail. The Temple of the Sun is known for the intricate stone work in the walls showing the great skill of the builders. Intihuatana is a ritual stone thought to have been an astronomical clock. The Temple of the Three Windows in about 3km from Machu Picchu and the structure may have been used for ritual baths. The Temple of the Condor may have been a temple for worship or a torture chamber. 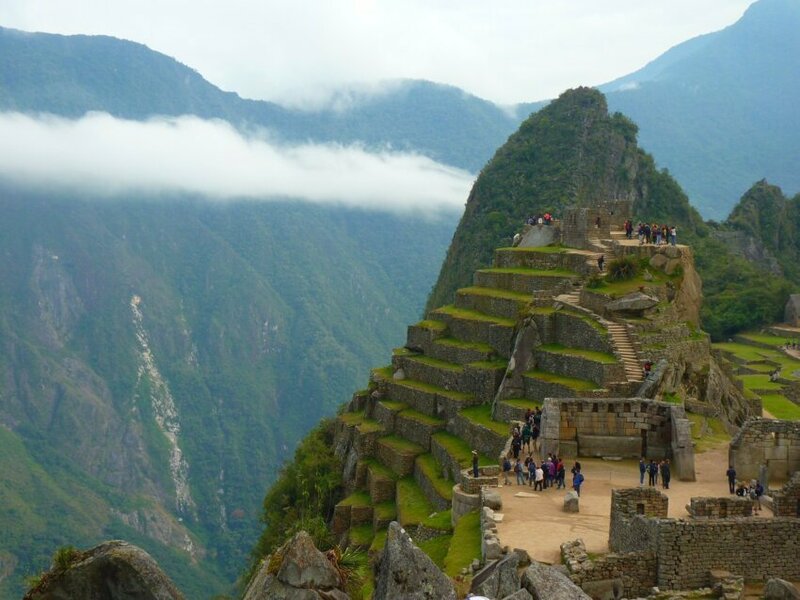 The location of Machu Pucchu was chosen for its remote and hard-to-reach setting and even today it is not the easiest tourist site to visit. From Cusco you can take a train to Aguas Calientes, and from there a 30 minute bus ride to Machu Picchu. There are three trains which make this journey, each of a different standard of luxury – Hiram Bingham; Vistadome or the Expedition. Alternatively take a train from Ollantaytambo which takes three hours and offers a fourth, and cheaper, train option the Backpacker Train. 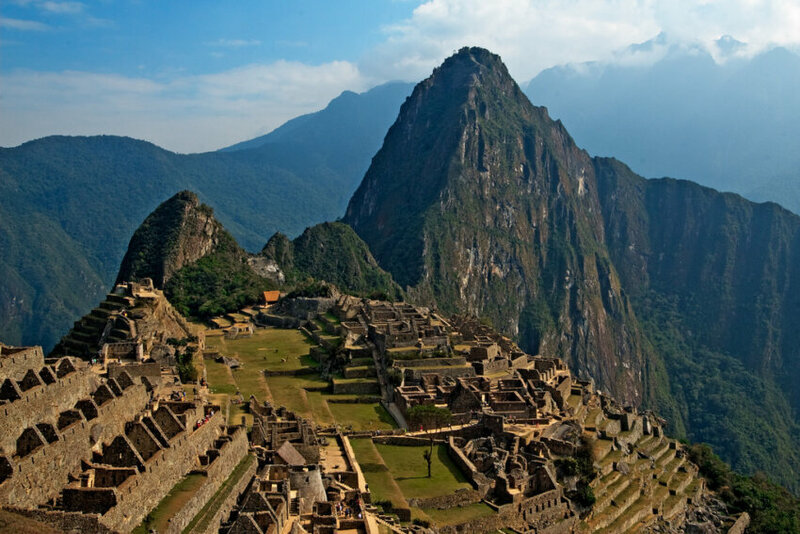 Another alternative is to follow the Inca Trail which can take 4 days and require camping along the 28 mile route. 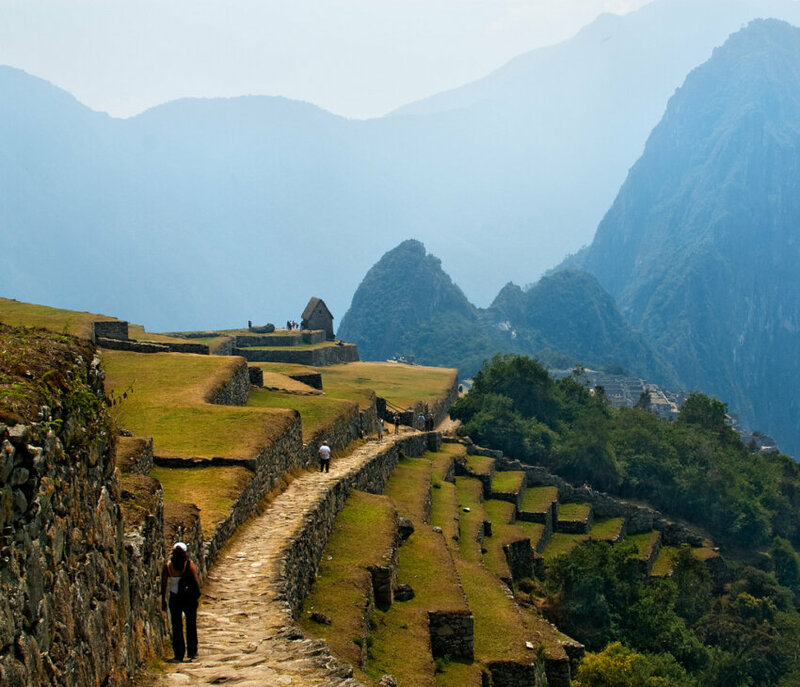 You could also combine a train ride with a shorter section of the Inca Trail. Take the train from Cusco or Ollantaytambo to Chachabamba, then hike from there.